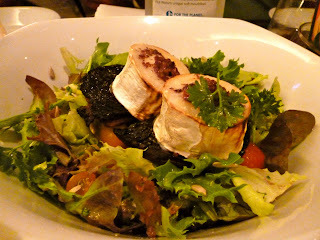 Some officemates and I headed over to Brasserie Wolf at Robertson Quay for a Friday night dinner last week. I recommended the place since most of us were craving for steak, and I had been here a few times before and enjoyed the casual ambience. For starters, we had the Portobello Mushroom Salad (SGD 16.00). The mushrooms were gigantic and the stalks were stuffed with goat cheese. Great contrast between the pungent cheese and the subtle portobello. 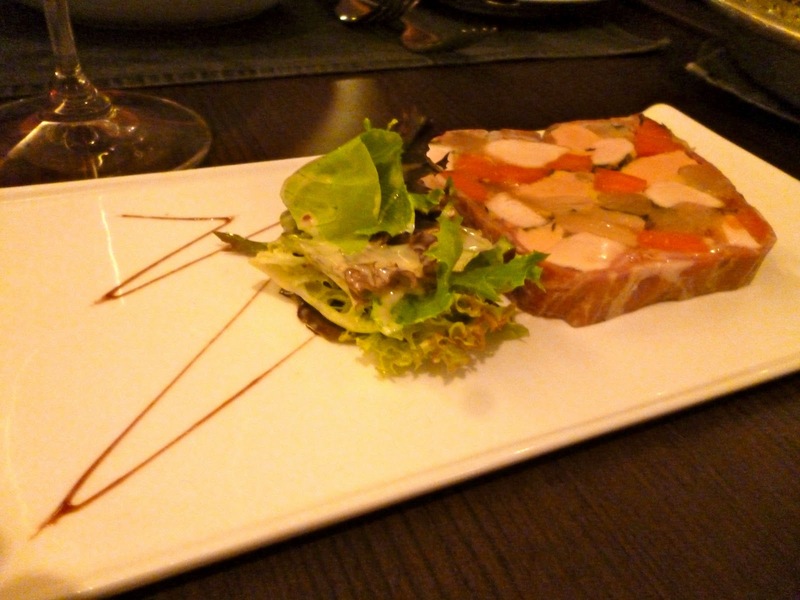 Our table also had the Chicken and Foie Gras Terrine (SGD 17.00). I thought the foie gras portions here were too tiny to enjoy. 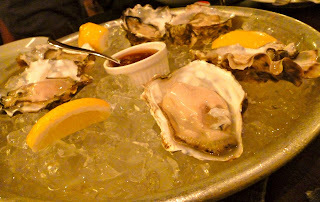 The last of the starters were the Rock Oysters (SGD 28.00 for 6 pcs). These huge oysters were incredibly fresh, so hats off for that. As I mentioned, our table was craving for steak. Some of us (including me) had the USDA Prime Sirloin (SGD 40.00). 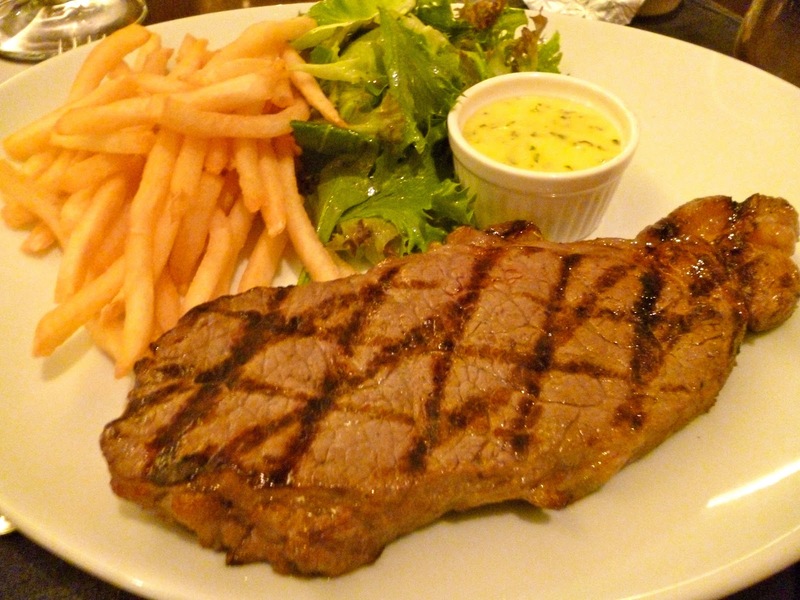 Even if I asked for my steak to be cooked rare, the meat was a little on the tough side. The cut had a little bit too much muscle for my liking. The fries were also average, and I thought more creativity could have gone into preparing this. 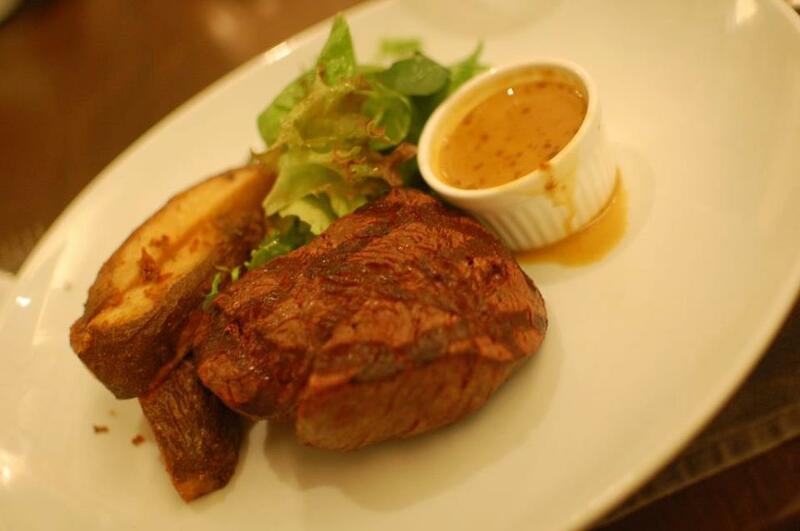 Others opted for the more premium Argentinian Tenderloin (SGD 47.00). I tried this and thought this was definitely a much better option. The cut was extra thick and the meat was really soft. The peppercorn sauce on the side was also a nice accompaniment to the beef. Some hits and misses in our orders, but overall still a good dining experience. I have always enjoyed my visits here, and will still recommend them for those looking for casual French dining. If you are opting to order steak, do order the tenderloin over the other cuts.